To say that setting trends toward returning to trillion dollar deficits seen in the Obama years, this time under total Republican control of the federal government, is a bad look would be a massive understatement. But, that is exactly what Senate leadership is pushing to happen, and what all taxpayers should kick and scream in protest of. In light of the impending deal, which would increase defense spending above the caps for FY 2018 by $80 billion and for FY 2019 by $85 billion, we must realize that total defense spending for those two years together will be over $1.4 trillion. This is an exorbitant amount of money. As Rep. Mo Brooks (R-Ala.) said on the House floor on Wednesday evening of the proposed spending deal, “There is a narrow path between adequate national security funding, and avoiding a national insolvency that decimates our military and risks American lives,” and this spending deal undoubtedly crosses it. Despite the lack of leadership in Congress on top-line spending numbers, there is still room for fiscal controls inside of the top line. Waste, fraud, and abuse is rampant throughout the federal government, and the Department of Defense is no exception. A 2015 report identifying $125 billion in waste was hastily hidden by the Pentagon, in an effort to maintain their high levels of funding. 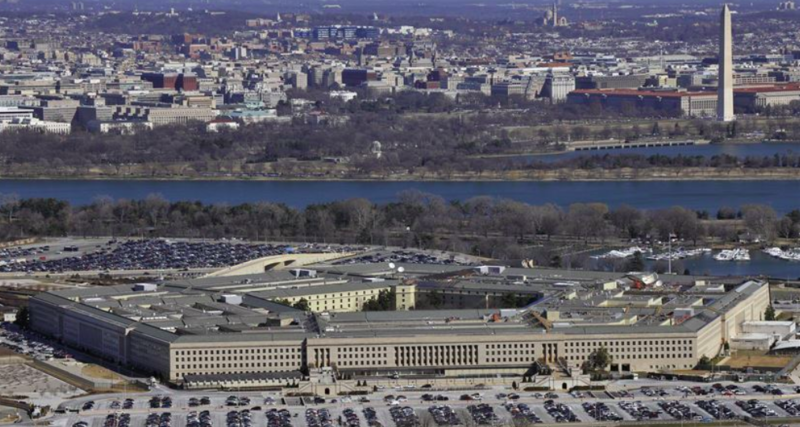 More recently, as the audit of the Pentagon is currently underway, findings earlier this week revealed that the Defense Logistics Agency cannot account for more than $800 million of its spending. There is reason to believe that this is not the only case of its kind. Where waste is identifiable, however, is with unneeded military property. The Base Realignment and Closure Program, or BRAC, is a process completed by the Department of Defense (DoD) to assess military infrastructure and determine where to shift resources to most effectively use taxpayer dollars. This program has been effective in the past, with the first four rounds of BRAC saving $8 billion annually, and the most recent fifth round in 2005 saving $4 billion annually. The Department of Defense (DoD) itself matches these estimates, indicating in a March 2016 report that the first five rounds of BRAC have saved more than $12 billion annually. However, the program’s authorization is subject to congressional approval, and they have been reluctant to do so -- for their own self-interested reasons, and at the expense of the taxpayer and the military. There should be consensus around this program, with Secretary of Defense James Mattis issuing in a report to Congress in fall 2017 that 19 percent of the military’s worldwide property may be unneeded. A new round of BRAC is projected to “generate $2 billion or more annually over a five year period,” according to Secretary Mattis in early June of last year. With his more recent estimation that 19 percent of military property is unneeded, and individual branches’ estimations of this being upwards of 28 and 29 percent, the savings to be generated is likely realistically higher. A movement in summer 2017 during the passage of the National Defense Authorization Act to authorize another round of BRAC was led by Rep. Tom McClintock (R-Calif.), who introduced an amendment to strike the language in the NDAA that explicitly prohibited another round of BRAC. It failed to pass by a vote of 175-248. Of course, saving billions of dollars by slashing unnecessary property held by the military is desirable, but is only possible if Congress gives Secretary Mattis the latitude he needs. Instead, Congress seems to prefer doing just the opposite, and encouraging spending more than should ever be necessary. The proposed Bipartisan Budget Act would blow up the national debt and increase deficits by throwing the Budget Control Act caps -- one of fiscal conservatives’ few tools to encourage limiting spending -- onto the “ash heaps of history,” as Sen. Schumer put it. This is no way to govern, and no way to treat the people who elected members of Congress. However, the atrocity of this “deal” is yet another reason for Congress to authorize a sixth round of the Base Realignment and Closure Program, and perhaps give the American people a small glimmer of hope that the term “fiscal responsibility” means at least something, to at least some of those they elected, after all.